The Free­d­iv­ing Club is an acad­emy for edu­ca­tion, instruc­tion, coach­ing, and train­ing of individuals & groups to develop and improve their capabilities in the freed­iv­ing sport in Dubai, UAE. The club pro­motes free­d­iv­ing sport for ben­e­fit of free­d­ivers of all abil­I­ties under AIDA (Asso­ci­a­tion Inter­na­tionale pour le Développe­ment de l’Apnée) stan­dards, rules, and regulations. 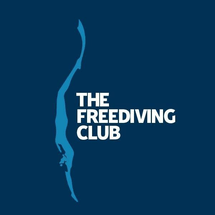 AIDA qualified instructors and experienced freedivers will help you to practice the right technique in order for you to improve your freediving performance. Mem­bers are given every oppor­tu­nity to become com­pe­ti­tion free­d­ivers, excel­lent free­d­ivers, and live a good lifestyle.